I’m an experienced dinghy sailor. 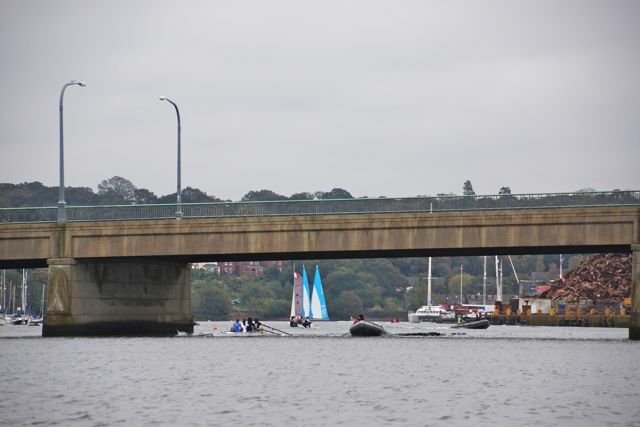 I spent my school years dinghy sailing and racing and I sailed various dinghies at different stages of my life. 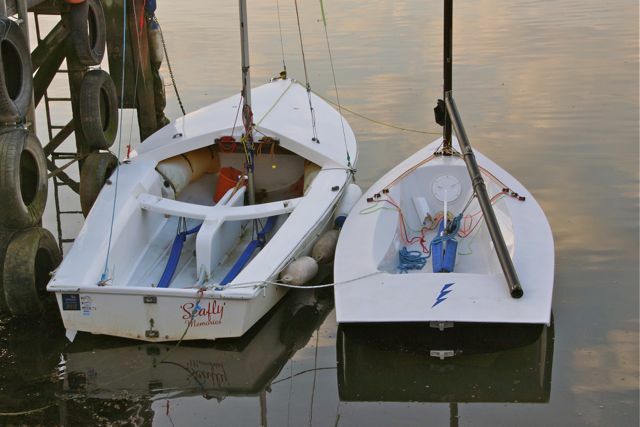 Most recently I owned a Seafly and a Lightning 368 both of which I sailed single handed. In contrast, although I have done a few trips on cruising boats at various times, I’m not an experienced cruising skipper. So ideally my cruising yacht should be like a big dinghy with a cabin – not too large and heavy for me to handle by myself, but as fast as feasible given the constraints of a small waterline length.. The process started at the Southampton Boat show when I looked at the cabin variant of the Hawk 20. 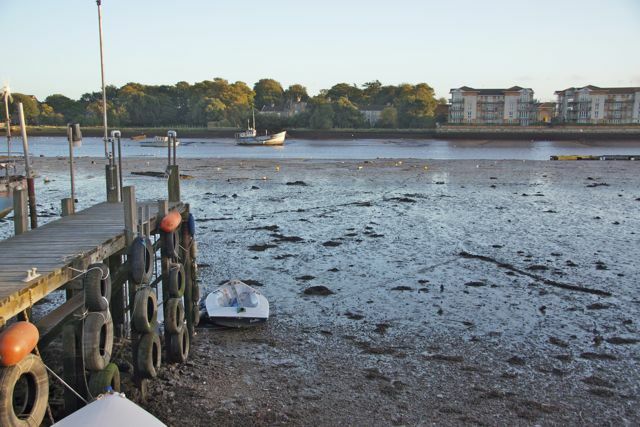 I have a jetty behind my house on the tidal part of the River Itchen in Southampton. 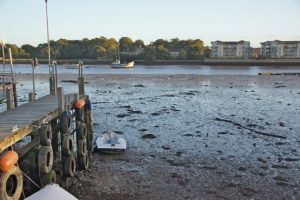 It dries at low tide so the yacht should be usable in shallow water and be able to take the ground. To get to Southampton Water and the rest of the world from my jetty I have to go under Northam Bridge. It needs to be possible to get the mast up and down easily enough that it’s worth doing for a day’s sailing as well as going for longer trips. There was a further factor in choosing a boat. I was lucky in having the money available to buy a new boat if that was the way to get the boat I wanted. I considered various small cruising boats. Some, like the Cornish Shrimper, were heavier than I would prefer, some were likely to be too slow, or poor in shallow waters. The Hawk, which had initially attracted me because it was like a large dinghy, had a very cramped cabin and the mast was impractical for going under the Bridge. The Hunter 20 was attractive and the builders are just down the river from me. 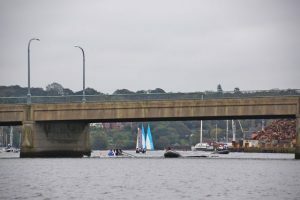 Northam Bridge – between me and the sea! However it was the BayCruiser 20 which seemed by far the best fit to my requirements. 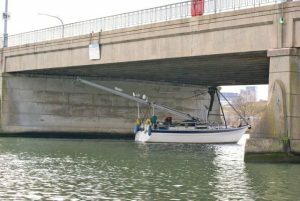 Furthermore Matt was the only builder who came up with viable sounding solutions for getting under the bridge – solutions aided by the light weight of the BC20’s carbon fibre mast. As soon as I visited Swallow Boats I was convinced!